Chrono 3-Drawer Filing Cabinet from Nexera features 2 catch-all drawers on metal slides at the top and 1 legal size filing drawer at the bottom. The filing drawer is mounted on heavy duty full extension ball bearing slides giving you full access to all of your files, even the ones at the far back. An anti-tilt safety device and adjustable levelers are also included for optimal use. Use the Chrono Filing Cabinet with Chrono Reversible Desk Panel #211339 to create a flexible work station or pair it with other Chrono items to add storage and functionality in the living room and the office areas. Chrono Collection is entirely modular and offers unlimited mix and match possibilities to create your own perfect entertainment or home office room settings. 22 Inch Storage File Cabinet Purple Both playful and studious, this youthfully designed soft-hued 22 metal storage file cabinet makes the perfect complement to the bedroom or study area of the student in your home. Ideal for both boys and girls, this intelligent storage cabinet is built to house all of the necessary school supplies a young scholar may need. Featuring a useful writing utensil drawer, a middle binder drawer, and a spacious and keyed entry lower file drawer perfect for storing expensive tablets or calculators, the learner in your life will love both the efficiency and fun colours of this academically inspired smart storage solution. 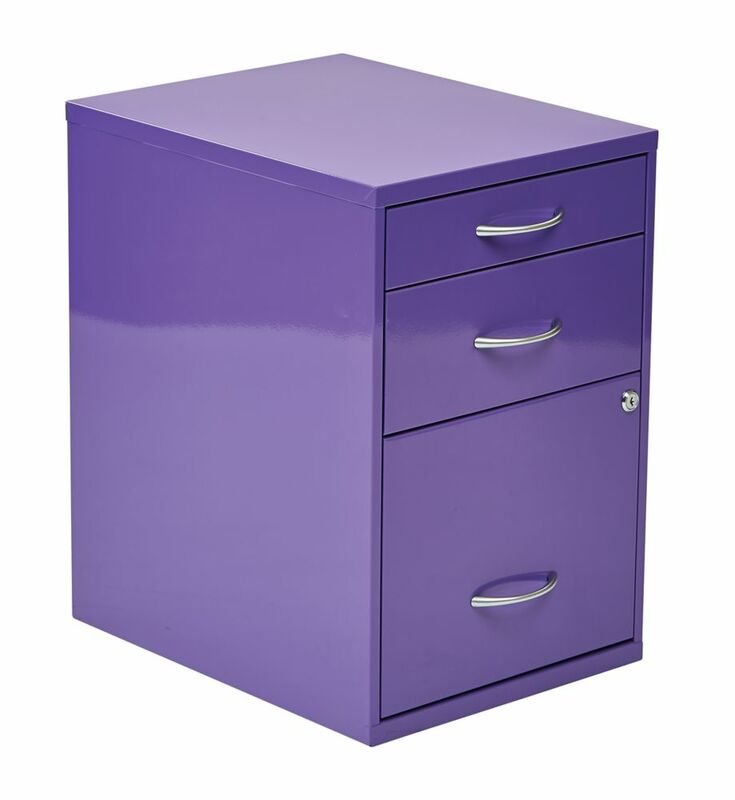 22 Inch Storage File Cabinet Purple is rated 4.0 out of 5 by 1.